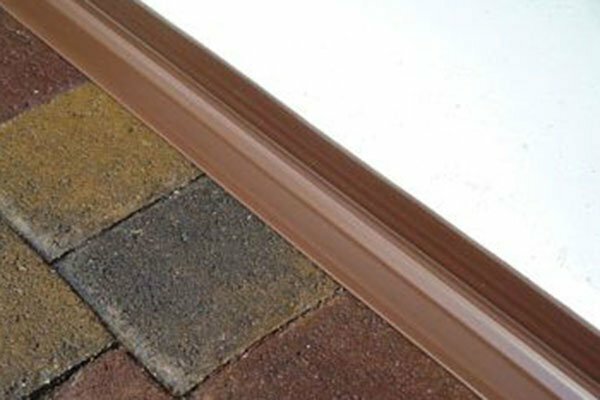 Park Smart 51020 - Park Smart Tsunami Seal Garage Door Threshold Seal - FREE SHIPPING! The product looks good on the floor. I didn't have a problem installing it. One of the seals that I installed was 18'. Advice: Check the pencil line that was drawn on the floor to make sure that the pencil line is straight. I couldn't keep water out of my garage until I purchased the park smart tsunami seal!!! Works great & easy to install! Thanks so much!!! 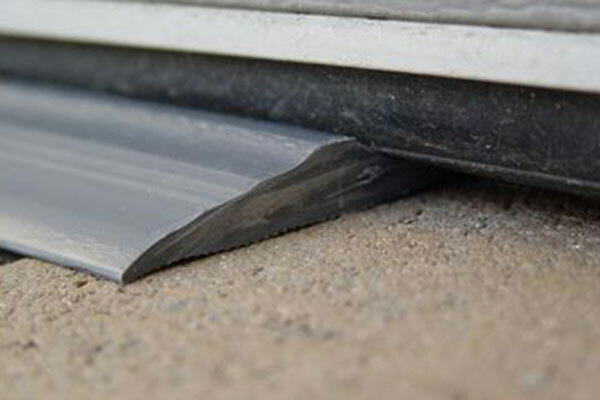 The Park Smart Garage Door Threshold Seal is engineered to make a perfect seal and keep water from blowing in, under the door, during major rain storms. Also, the material it is manufactured from is far heavier and more durable than I thought it would be. On a warm day, roll it out for an hour so that it will completely flatten and become flexible. Make sure your floor is clean too. Just follow the instructions that comes with the Seal and you will not be dissappointed. Seriously, follow them to the letter. No cheating. These people have more experience with the Seals than you do. Do not try to reinvent their wheel. I installed myself and it was easy and fast. So far, with the harsh winter, all is well and the weather is staying out. The seal was perfect for my garages. I bought the 20' strip and cut it for my two 10' doors. There was a tube of glue left over and they work like a champ. It really does work. I just thought it was overpriced, though. This is the second Park Smartr Garage Door Threshold Seal I have installed. I installed them for both of my garage doors and my daughter's doors. They work great when you have a slight reverse pitch just outside of the doors. Or, where the wind blows rain in under the doors. Makes a good seal with the doors. I highly recommend them. The threshold is easy to install and does the job as advertised. Highly recommended. Fantastic product. Easy to install. First heavy rain today trashing against the garage doors since installation. No more floods. 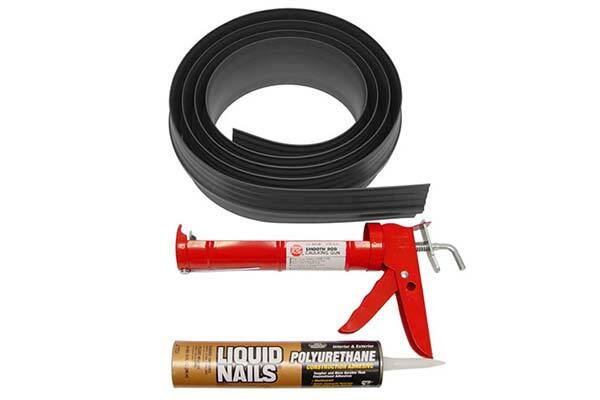 Storm Shield is a high quality product, the kit contained ample supplies for installation. I applied extra adhesive and L cuts at the ends and I am glad I did for this was another point of rain entry. Highly recommend Storm Shield and AutoAnything.com. Thank you for a great product and speedy delivery. Nice, complete kit, although I already have two caulk guns. The rubber is tough, which is both good (durable) and bad (hard to cut). Once installed, it does a good job keeping water out. Would like to recommend that you check the positioning of the seal a few times during the first two hours while the glue cures; the weight of the door on the sloping edge can make the seal slide around a little, and you want to keep it aligned properly. I did not use this as a seal but rather as a dust and grass catcher when the door is open. I positioned the seal with the lip hanging over the edge of the step down to catch dirt and grass when the wind blows. Kit is complete and does a great job. 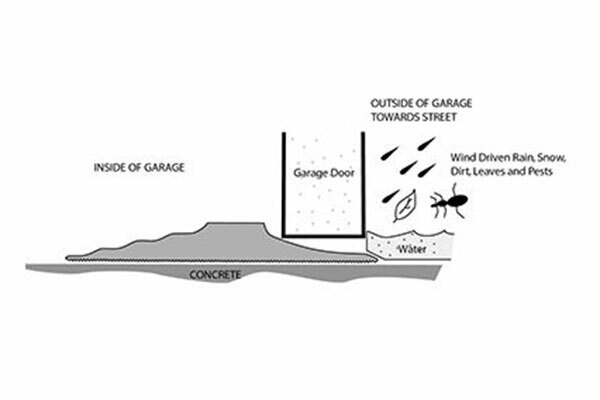 Looks like it will seal garage door from any surface leaks. I haven't had a hard rain yet to thoroughly test the seal. However, the seal has prevented water from small rains from entering the garage. Previously I would have had puddles inside the garage from the slightest of rain. So far, I'm impressed and installation was easy. Best there is for keeping a garage clean, combine it with the seal on the door, and get a total dust free seal, even with a gravel driveway. Very complete kit, great directions, and ample adhesive. 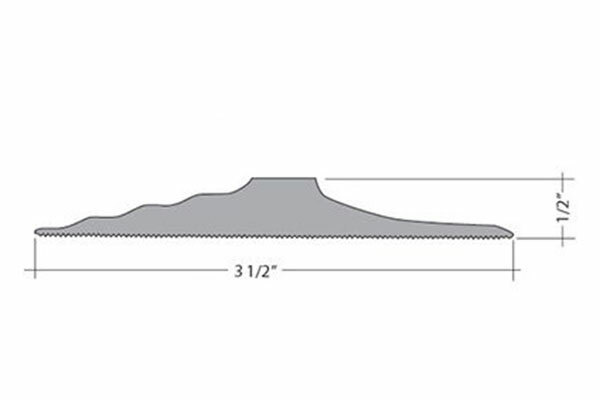 Only wish they would add 5-6&quot; to every 10 foot piece, sort of a comfort zone. When I saw the advertisement for the &quot;Garage Door Threshold Set&quot; I thought that this was just the item I needed to stop the water from coming in the garage when it rained. I ordered it and within a few days the kit arrived and fortunately the weather cooperated with a couple of 50 degree days here in New England. The installation was very simple, as spelled out in the enclosed instructions. As a matter of fact it only took 15 or 20 minutes to install the seal for each door. The day after the installation, we had a real hard rain and there was not a drop of water in my garage ! The Park Smart Garage Door Threshold Seal certainly lived up to it's reputation, Thank You for a great product which I have shown a few of my friends and I'm sure you will be receiving a few more orders soon. Garage is now dry and chipmunk free! 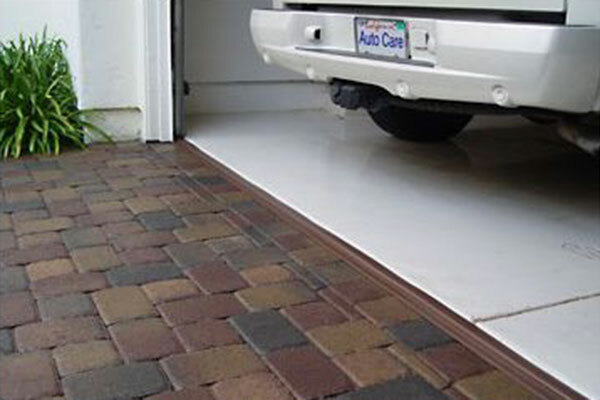 The Park Smart Garage Door Threshold seal is great! Not only was it easy to install, it does a great job in keeping out rainwater and chipmunks. Last night we had a very severe rainstorm. Today, my garage was dry....amazing! Thank you, Park Smart for a wonderful product! Reference # 766-178-184 © 2000-2019 AutoAnything, Inc.